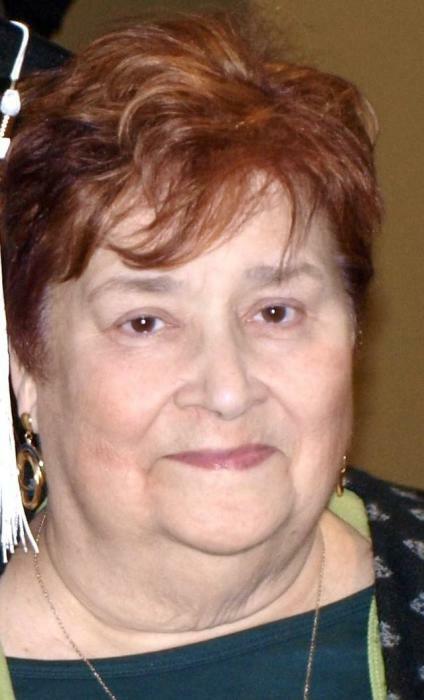 Obituary for Marlene Jean (Ferrari) Rzeszotarski | Ajak Funeral Homes, Inc.
Age 76, of Natrona Heights, passed away Sunday, November 18, 2018 at Allegheny General Hospital, Pittsburgh. Born on April 12, 1942 in New Kensington, she was the daughter of the late Eugene and Mary (Ajak) Ferrari. Marlene grew up in Creighton and was an East Deer-Frazer Class of 1960 graduate. She was a longtime resident of Natrona Heights. She and her husband, Leonard, owned and operated the former 7-Eleven convenience store in Natrona Heights. She also worked part-time at Allegheny Valley Hospital, Natrona Heights as a television service agent. Marlene was a member of Our Lady of the Most Blessed Sacrament Parish, Natrona Heights, where she was a very active volunteer for various church functions including organizing and volunteering many years for the annual church festival. For over 50 years, she enjoyed her card club get-togethers with her girlfriends. Marlene loved cooking and baking, especially preparing for family gatherings. She was a talented craft designer, always designing for others, too. Marlene especially loved spending time with her family and being an American Field Services "AFS" host mother for six exchange students over the years. Survivors include her husband, Leonard J. Rzeszotarski; children, Michelle (Richard) Schneeweis of Nashville, Tennessee, Lauralee (Michael) Milberger of Tarentum, and Eric Kevin Rzeszotarski of Natrona Heights; seven grandchildren, Rebecca Schneeweis, Aaron Schneeweis, Jacob Schneeweis, Mallory Milberger, Cassidy Milberger, Courtney Pauly, and Krystyn Seronka. Family and friends will be received from 2-4 and 6-8 p.m. Tuesday, November 20, 2018 in the Paul R. Ajak Funeral Home, Inc., 2 Pine Street and River Avenue, Natrona where parting prayers will begin at 9:30 a.m. Wednesday in the funeral home. Christian Funeral Mass will follow at 10 a.m. Wednesday in the Our Lady of the Most Blessed Sacrament Church, 800 Montana Avenue, Natrona Heights. Burial will follow in the National Cemetery of the Alleghenies, Cecil Township.